A dog or cat that has been admitted to a veterinary hospital may experience conflict with other house pets when it returns home. The scent of other pets, people, medications, disinfectants, and perhaps even the traces of anesthetic may cling to its coat for days after it is home. Even the brief and temporary absence of one pet can disrupt the established social order of the remaining pets, triggering dominance conflicts between house mates when the pet is reintroduced. House-soiling is fairly common following a return from hospitalization or boarding. 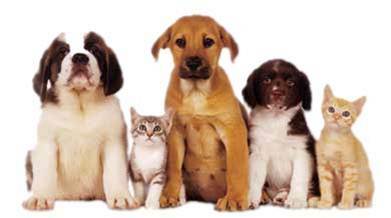 A dog or cat may urinate or defecate in an inappropriate place to reclaim its territory and to relieve anxiety. It may void simply because it is excited to be home or because bowel and bladder control may be affected by illness or medication. Do not scold your pet for inappropriate elimination, particularly when it has just returned home. Quickly disinfect and deodorize the soiled area and discourage access to the location. Prepare a clean litter box for your cat’s return and take your dog for more frequent walks to allow additional opportunities to void outside. As a general guideline, the longer your pet has been away, the more gradually it should be reintroduced. Isolate the recuperating pet during the first few days of its return so that it can adjust more gradually and without the additional stress of antagonistic house mates. Make it comfortable and spend extra time in some agreeable and gentle form of interaction, such as petting. Many owners have feelings of guilt and anxiety when a hospitalized pet returns home and tend to “spoil” the animal with extra food or special treats. Dogs and cats quickly learn that their chances of a food reward are high if they scratch at the food pantry or vocalize for your attention. Be aware of how your pet can learn to manipulate you. avoid reinforcement of undesirable behaviors.